Over the past few months, I have been doing some freelance work for a family friend which some of you may remember me talking about. I was mainly doing a mixture of marketing and graphic design for this family friend. The lady that I was working for actually lives in Brighton which meant that over the past few months I have been travelling back and forth quite a lot. Luckily the freelance job I did was with a family friend which meant that it was a lot more relaxed than a real freelance job would be. I thought that I would share my experiences with you all as some of you may be thinking about doing some freelance stuff yourself. When I first started the job I went down to Brighton a lot as a lot of the stuff I was doing I needed to be with the lady to do. This was quite tiring as I was travelling down nearly every day and doing a full days work before I travelled home. I would leave my house at 7am to catch a train at 8am to make sure that I arrived in Brighton for around 9am. I would then work until around 5/6pm before I travelled home meaning I didn’t get home until 7/8pm most nights before doing it all the next day. I quickly learnt that this was both tiring and expensive as the travel each day was around £25 for a return. Even though the lady I was working with did pay for my travel it was more cost effective for both of us if I stayed with her. As the person, I was working with was a good family friend this was absolutely fine. If I hadn’t known the person that well I may have opted to stay in a cheap hotel or B&B as it would have been better overall. I was quite flexible in terms of payments as I knew the lady I was working with. I would send an invoice over every two weeks for example. I would say that set a payment term that you feel comfortable with some freelancers require payment straight away whereas others are more flexible and give 24 hours, 48 hours, 7 days, 14 days, or 30 days for the person to pay. I would suggest writing down your finances and working out how quickly you would need the money to pay for bills etc…. 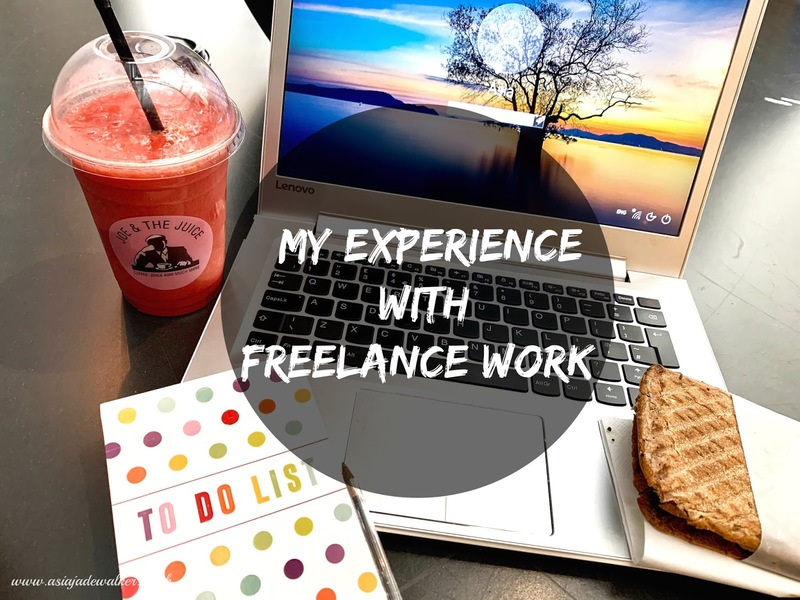 Freelance work can be really tough at times especially if you do it all of the time as your free time and working time can all blur into one. I often forget to stop doing my freelance work and to go and do something else that wasn’t related to it. Make sure that you set yourself a time to finish work every day so that you can have a life outside of the freelance work as well. Once you get into a routine you feel a lot more relaxed as it feels like a normal job with working hours but also hours where you aren’t working. In any job that you do it’s important for both parties to understand what each person wants from the other. I have a few friends who do freelance work full time and have often spent hours on a piece of work for their client to turn around and say that they don’t like it. As I knew that this could happen I made sure to double check everything before I started it so that I didn’t waste both of our times. I also made sure to get most things in writing as the lady I was working for would send me things to do via email. I would then go back and forth via emails until we both knew what needed to be done. I found that this reduced the number of things that I had to change as overall I only had to edit them two or three times. Overall, I loved doing freelance work as it gave me an insight into how hard it actually is. You tend to work harder because at the end of the day how much work means how much you make. For me, it was important that I kept doing the work as it was paying for the recurring bills that I have every month. Luckily what I made also left me with a little extra to spend on myself. I would recommend doing freelance work if you are thinking of it but I would also suggest researching it before diving right in as it’s a lot more work than people think it is. There are also various rules when it comes to invoicing as if you are doing it full-time you will need to pay tax etc…so don’t forget to check that out. "A Weekend In St Ives, Cornwall"